The Hunchback of Notre Dame is Getting Remade Again!! This Time With Josh Brolin and Tim Burton!!! 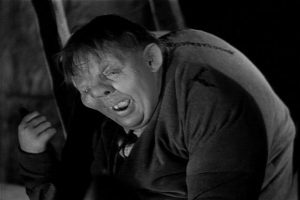 Director Tim Burton and Actor Josh Brolin are bringing back The Hunchback of Notre Dame back to the Silver Screen with Brolin playing the Hunchback. I think Brolin would be perfect in this part. According to the HR, Michele and Kieran Mulroney will be writing the screenplay for this remake. They wrote the script for the upcoming Sherlock Holmes sequel, Game of Shadows. Brolin will also be producing the picture as well. No word on if Burton will direct this movie yet, but I am sure he will. It is going to be interesting to see who else they cast for this film. Tim Burton Set To Direct Live-Action ‘Dumbo’ Movie! This entry was posted on Tuesday, March 1st, 2011 at 5:27 pm	and is filed under Film, News. You can follow any responses to this entry through the RSS 2.0 feed. You can skip to the end and leave a response. Pinging is currently not allowed. « Take A Look at the All New Prime For Transformers 3!! !